I have just received my final statement from Once Credit so my Thermomix is now officially paid off! Woo hoo! 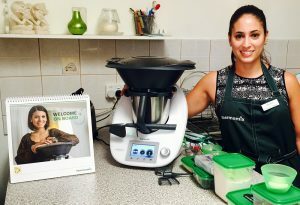 This made me realise I have posted blogs about deciding to get my Thermomix and when I received it but I didn’t really write about purchasing my Thermomix on the interest free finance plan. So I thought since I have finished paying it off now would be the perfect time to write about it. Especially with the current 24 months interest free promotion generating a lot of interest in purchasing your Thermomix on finance.